Who doesn’t love Twitter? Send out your thoughts in just 140 characters into the whole wide world. Give your opinion about subjects that you don’t know anything about, react to someone else’s false opinion and discuss for a while about subjects that you normally wouldn’t even care about. But in-between this pointless discussions on Twitter, there are also a lot of people that actually DO know what they are talking about. And we also get influenced by the powerful online marketing opinion leaders on our twitter account every day. 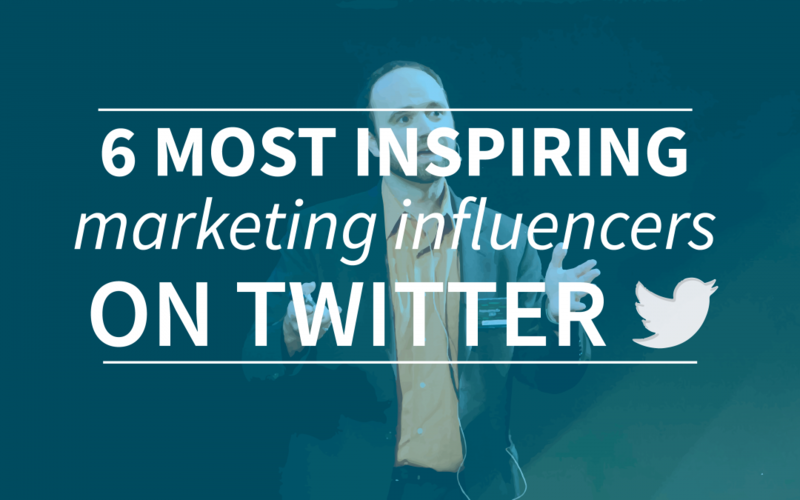 That’s why we wanted to share our personal list of favorite marketing influencers on twitter. From content marketing to social media and seo, we’ll tell you who you should follow and listen to on twitter! Jeff Bullas is definitely one of our personal favorite social media influencers. He shares a lot of very useful blogs from various platforms about all kind of marketing related subjects. For example articles like “8 Blog Design Tips To Make Sure People Stop To Read Your Content” or “3 Terrific Tips To Increase Your Facebook Reach”. If you want to get much content inspiration, than this is influencer you should follow on twitter! Kerry Butters is a tech and social media influencer and also a very skilled blogger. For all kinds of interesting tweets about social media, link building, content marketing, e-mail marketing, guest blogging etc. you should follow her! She has a nice writing style and posts new links to articles on a regular basis. This is the place where you can learn a lot about everything you wish for in the online marketing field! Danny Sullivan as the founding editor of MarketingLand & SEngineLand is an expert on the field of Google, Facebook, Twitter, SEO, SEM, digital marketing, search marketing and search. We like Danny Sullivan because he’s the source of everything that’s new. Not only does he share interesting articles about these subjects, but he also shares some of his own daily life. Rand Fishkin, mister SEO himself, is also on our list of favorite bloggers. As the founder of Moz and a respected author, blogger and tech investor this is for sure one of the most interesting people to follow on twitter. He tweets about marketing, SEO, technology, startups and his personal life, which is pretty interesting! If you want to stay up-to-date in search enige land than you must definitely follow Rand Fishkin. AJ Ghergich is one of the persons that interests us very much. This is the account you should follow if you’re interested in SEO and content marketing. With his specific tweets about these subjects, like algorithm updates etc. you’ll be able to stay up-to-date about all the SEO industry news. And last but not least, we’ve got the great man; Joe Pulizzi. This is the men that invented the word content marketing. As the founder of the content marketing institute and content marketing world, Joe shares a lot of interesting information about content marketing. He’s a very interesting author who’s articles you should definitely read! Do you think that we’ve missed one of the most inspiring twitter influencers? Please contact us @webtexttool and let us know what you think!